You can full details on all the new features and content in our V12 Release Notes. Note: Features described below were in the April 2016 Update Service release unless indicated otherwise in red. On reveal animations were one of the hits of v11. These are animations that are triggered as your object comes into view, and we’ve added 40 new animation types that work on reveal, such as bounce, zoom and flip. 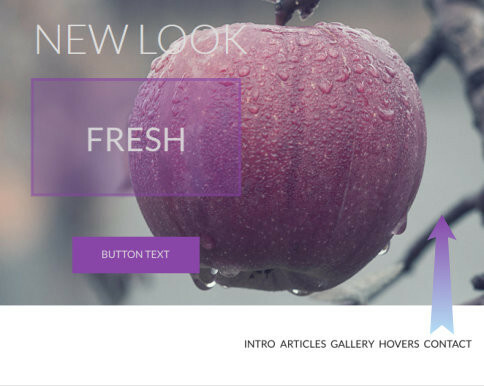 Check out our Example Site 2 and Example Site 3, which include lots of examples of the new animations (based on the new Fresh and Able themes). We also have a completely new type of animation. You'll find 30 'scrolling animations' in the Reveal tab of the web animation dialog, which link an animation to the position of the scroll bar. Instead of the animation running once when the object first appears (like reveal animations), the object animates whenever the document is scrolled, and the speed of the animation is proportional to the scrolling speed. See our Example Site 1. You can now set the photos in your Xara Slideshow widget to span the full width of the browser window for maximum effect. Check out our Example Site 4 (based on the popular Hipster theme). 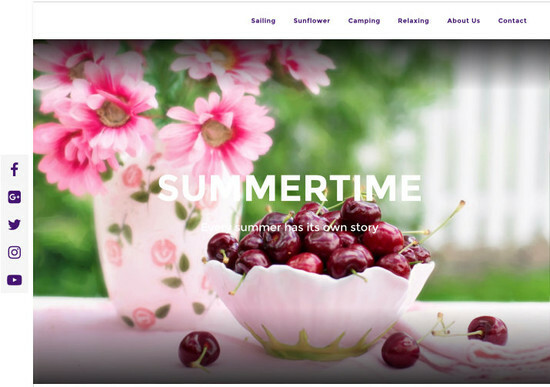 Slideshows are published to M Hosting, included free with Web Designer Premium for one year. By popular demand, you will now have the option for an object to scroll to the top and then stick. See our Example Site 2 (the NavBar sticks when it reaches the top of the page). The must-have effect for any contemporary site, parallax is a kind of 3D effect created by the background moving at a slower rate to the foreground. See our Example Site 1. Many modern OpenType fonts include typographical ligatures, which allow sequences of consecutive characters in text to be displayed with a single glyph. These are now supported in Web Designer Premium, and they can be used to improve the legibility and presentation of text and to introduce stylistic flourishes. Yes, we really are including ALL 166 business themes to the Online Content Catalog of Web Designer Premium. These were previously sold for \$15 each! Each theme is a complete website, with linked pages typically required for that business type, and with professional photography suited to the business. This makes it easier and quicker than ever to create a complete, professional looking website for almost any type of small business! View previews of the Business Themes. These are a cool new way to display your photos. 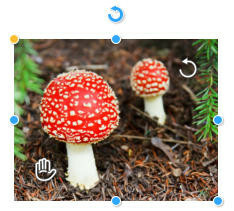 We’ve added both fully editable Smart Photo Grids (Smartshapes) and simple photo grid templates. The Smart Photo Grids let you display any collection of photos, even those with different shapes and aspect ratios, in a compact grid on your website. Drag and drop your photo onto the grid and it automatically updates to fit your photo in, no matter what shape it is! UPDATED - November 2016: 23 new photo grids, and a new folder structure to make it easy to find just the right layout for your site. 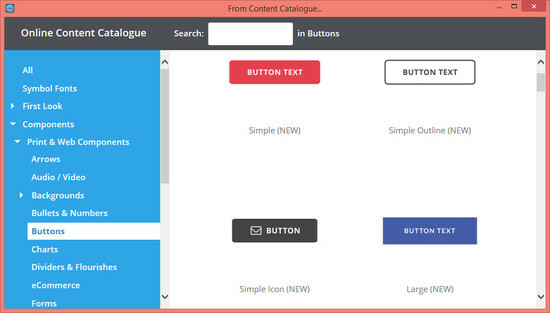 View previews of a selection of the themes and other templates in the Online Content Catalog (select the NEW filter to see some of the new ones). 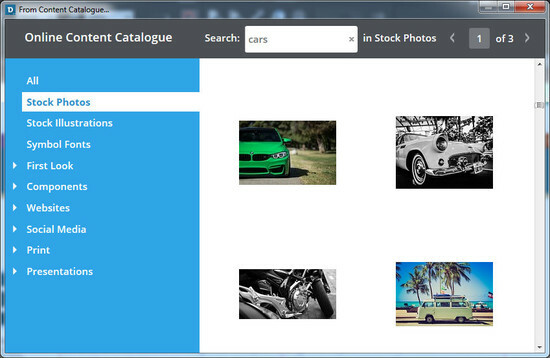 You’ll find more than 25 ready-made effects in the Online Content Catalog (image resources > photo filter pre-sets). Simply select your photo and hit Import! What’s more you can continue to edit the effects using the Enhance tool or Brightness Levels dialog, and if you replace the photo the effects are retained. See some examples. NEW - November 2016: We've added 50 new photo filters and we've also categorized the filters to make it easier to find just the right filter to achieve the effect or ambience you're looking for! NEW - March 2017: We’ve added another 40 filters, making 115 in total. 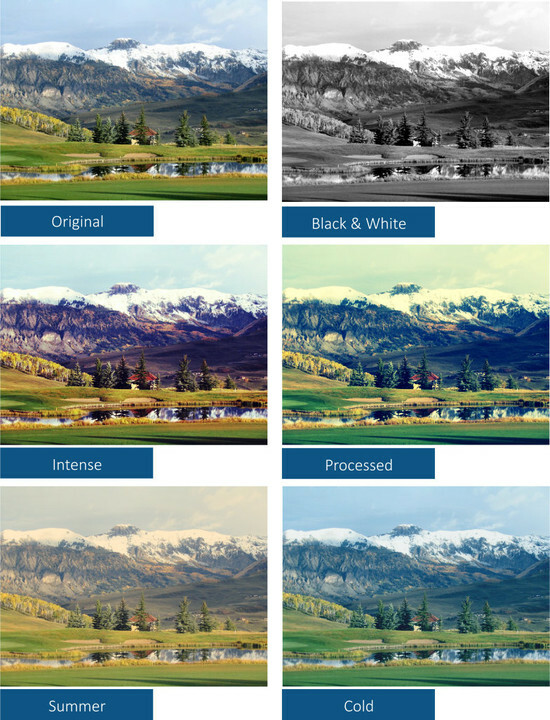 We’ve also introduced Photo Filter Overlays, which can be applied on top of existing filter pre-sets, such as pattern, texture and transparency Overlays. Filters can now be applied & removed with a handy right click menu option. UPDATED - November 2016: Now as you drag the handles to adjust an image, a faint copy of the full uncropped image is shown behind. 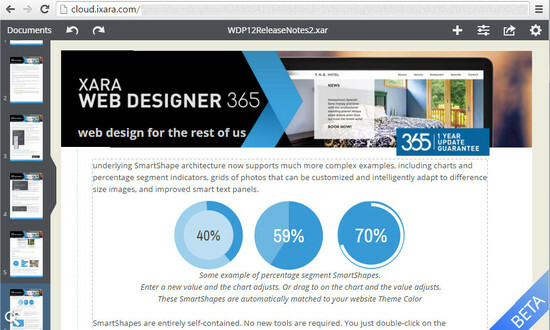 Web Designer Premium includes ‘Website M’ hosting (worth \$1.99 a month), free for one year. This includes 2GBytes of free web hosting space and one free domain name (e.g. yourname.com or .co.uk or .de etc). Plus if you publish with Website M you can password protect your web pages.